I have now moved full time to the conservation studio at the main library and I have started working on the Latin thesis from 1726 – 1826 which contain a number of PhD thesis in one leather binding. The majority of this collection is in good condition with just under half needing conservation treatment before digitisation, mostly quick treatments such as being board reattachment. A small number of volumes have been rebound with a hollow and using book cloth which makes them more accessible and easier to be digitised. 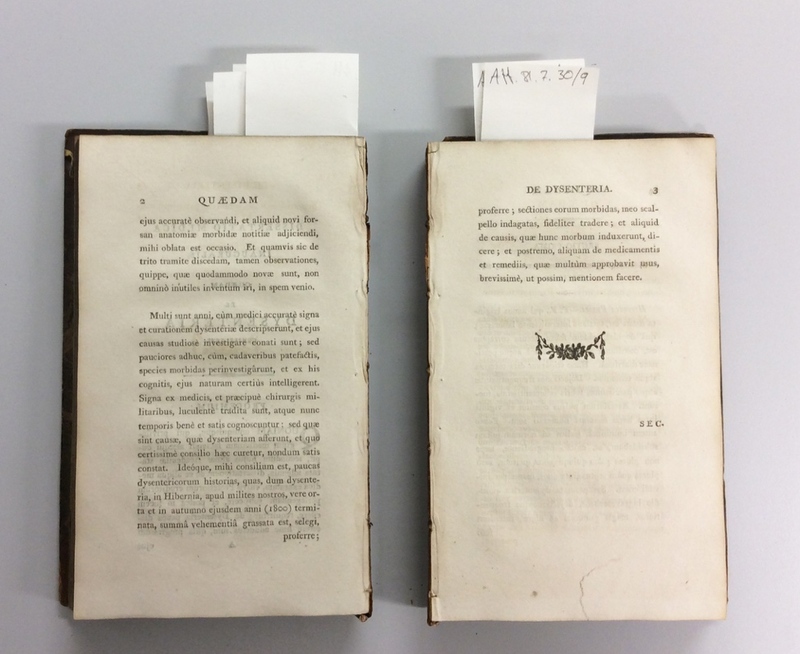 However, 46 volumes have broken sewing resulting in the text block breaking in half or in some cases three or four separate pieces. This has been caused by repeated use, and forcing the volumes open.